For information on volunteering or interning with SEAHEC please send a copy of your resume to Erin Sol, esol@seahec.org, Coordinator for Student Training Opportunities. For information about getting involved in high school health career clubs, please send us a message at info@seahec.org. SEAHEC seeks health professionals and health professions students to share their valuable experiences with our students at club meetings. SEAHEC’s High School Career Clubs offer students an opportunity to explore health careers and college life. 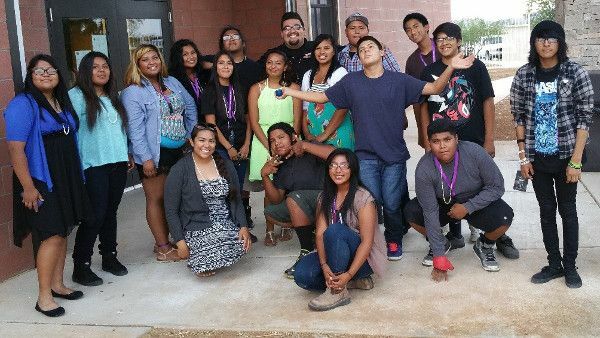 SEAHEC operates clubs in Nogales, Rio Rico, Bisbee, Douglas, Willcox, Tucson, and the Tohono O’odham Nation. Our students need role models who can help them envision a future health career. Sharing your knowledge can be a great way to inspire someone to join your profession, or help someone decide to go to college. Possible topics include sharing personal experiences in choosing a career or attending academic institutions. Prospective speakers may also propose a creative activity that reflects their personal experience to teach younger students about health careers. To propose an idea or schedule a talk at a club meeting, please contact Lupita Gonzales lupita@seahec.org. SEAHEC participates in a variety of health related events in southeastern Arizona. For information about upcoming health fairs or other health events, please contact Erin Sol esol@seahec.org. Internships can help students earn college credits while gaining practical experience. SEAHEC interns work alongside SEAHEC staff in planning, implementation and evaluation of our community based programs. Some examples include adolescent wellness, high school health career clubs, farmworker health and safety, community health worker training, and communications, photo documentations and social media. Internships are offered on a case by case basis when opportunities are available. Internship opportunities are available on a case by case basis. Students interested in applying for an internship at SEAHEC should email a current copy of their resume and a short description of interest to Erin Sol esol@seahec.org. If there is an opening that matches your interests, we will contact you. Flying Samaritans : Volunteer Health Educators Needed! Our collaboration with Flying Samaritans of Arizona provides exciting opportunities for health professions students to serve as volunteer health educators, and language interpreters on cross-border health projects. The Flying Samaritans operate a medical and dental clinic in El Rosario, Baja California, a small community in northern Mexico. Flights leave monthly. 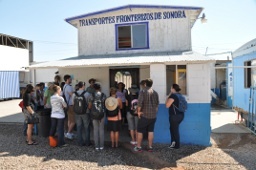 To learn more about upcoming trips, contact Erin Sol esol@seahec.org. For over 15 years the Flying Samaritans have been bringing volunteer medical and dental professionals for a monthly clinic in an area with very limited access to care. Now they are expanding to include prevention and health education in their work. 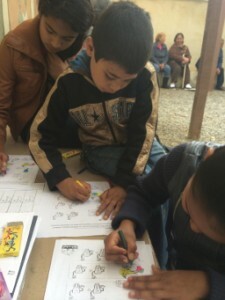 Student volunteers will be provided with materials to conduct interactive activities with children and adults around dental care and diabetes prevention. With health education, patients at the clinic will get the tools they need to manage their own health better. Conversational fluency in Spanish is required. Experience or studies in health education is a plus! Graduate or Undergraduate students in Public Health welcome; Students in other medical fields with experience in health education also welcome. U.S. Passport or other Passport with multiple-entry visa required. Expenses will be covered by SEAHEC. Flying Samaritan trips are a full weekend commitment – either Friday morning until Sunday afternoon or Saturday morning until Sunday afternoon, depending on the month. Travel takes place on small, private planes leaving from Tucson. Public Health students who become involved will have the option of developing their internship with the Flying Samaritans related to a project such as developing more materials for culturally appropriate health education, working on the prevention and education component of a new diabetes clinic forming, or working to develop an advisory board of local patients and residents in El Rosario. Mary’s Mission & Development Center, Inc. Become a volunteer for young people facing challenging times. Can you be a caring adult role model for young people? Do you want to do something that is satisfying and of great service to your community? Become a Mary’s Mission Volunteer. You can help shape a child’s future for the better by empowering them to achieve. The only qualification required is to be 18 years or older, and your desire to help someone in need. Child safety is our highest priority. You will need an Arizona Fingerprint Clearance Card, which is part of our application process.